I don’t know why I didn’t think of this myself, a little disappointed that I didn’t actually. I just spoke with my Masters buddy because I had to miss class today (and feeling very, very guilty about it, but it was for all the right reasons). 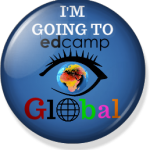 She gave me a quick overview of the day and one topic they discussed was Wordle. The group was talking about narrative inquiry and Wordle was introduced as a method to highlight repeating words and ideas. 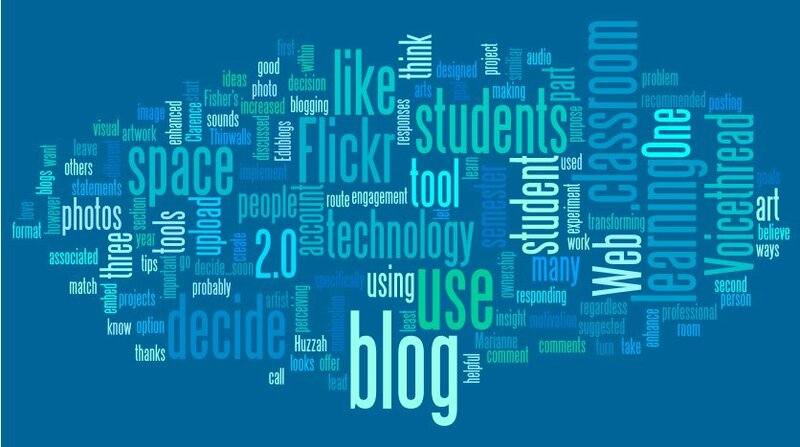 I’ve used Wordle in this space before, and in my teaching practice, so it’s a natural extension to use it to enhance my Masters learning. 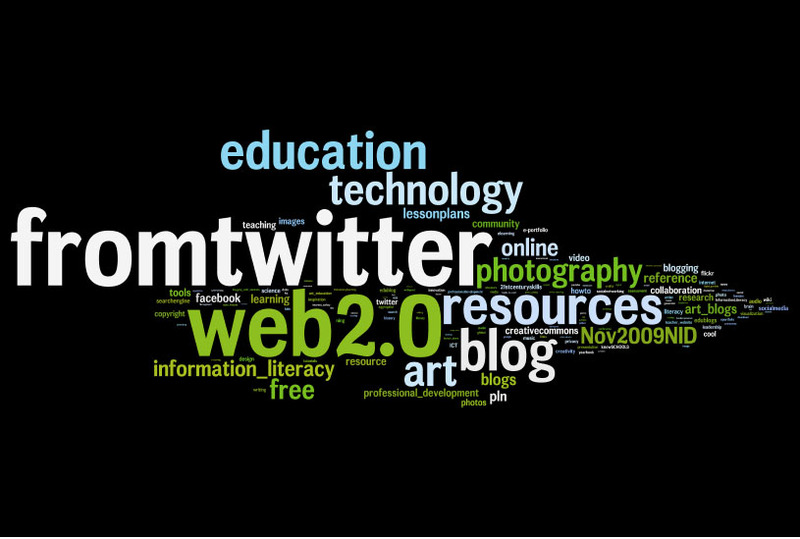 Here’s a wordle of the research proposal I submitted last month. Click on the image for a full size version. Thirty-five pages and over 9000 words summarized neatly into one visual image! Based on that image, I think it’s obvious that I’m focusing on my own teaching practice (the whole point, so I’m happy to see that word is the biggest) and that learning is the next key idea. Inquiry is closely followed by students and then it gets a little more complicated. It’s clearly my inquiry project – everything is there, all three topics: the Elementary Connected Classrooms environment, visual literacy/arts based methods and my exploration of my inherent Metis worldview. 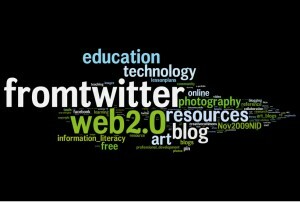 Image above courtesy of Wordle.net. I borrowed the idea (from a virtual colleague) to tag links found on Twitter as ‘fromtwitter’ and it’s obvious from this image what a huge impact Twitter has had on my learning in just under one year! If you’d like to see what links I’ve been bookmarking, or to add me to your network, my del.icio.us account name is emisle. Welcome to my personal learning network!